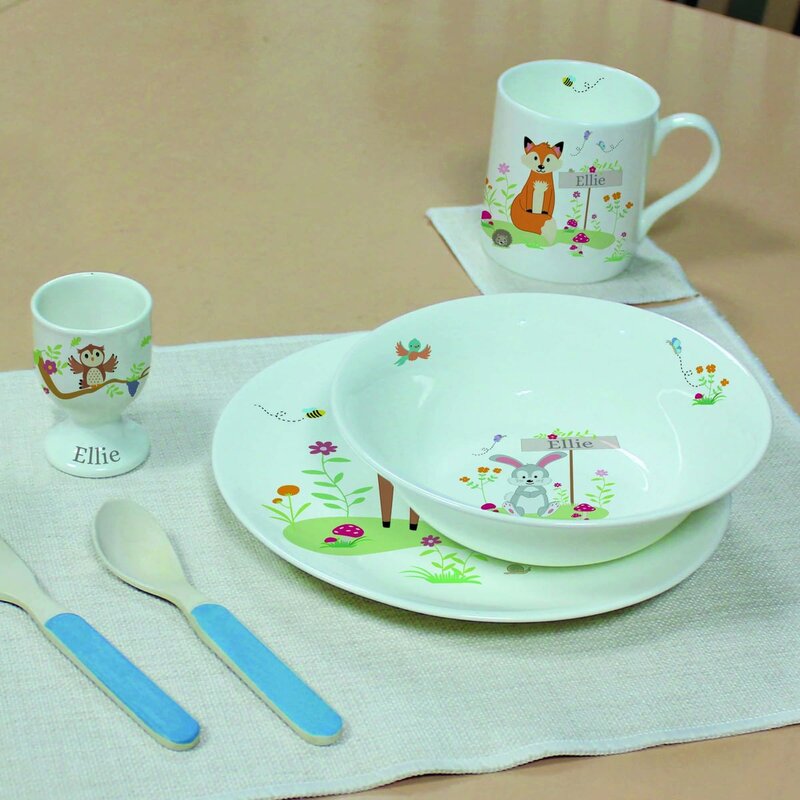 Dimensions: Plate – 20 x 20 x 0.5 cm, Bowl – 4 x 16.5 x 16.5 cm, Mug – 8 x 11 x 7.5cm Egg Cup – 7 x 4.5 x 4.5cm. This cute wooden storage box is a great way to keep all those special mementos safe. This beautiful jade glass block can be personalised with a name of up to 15 characters. 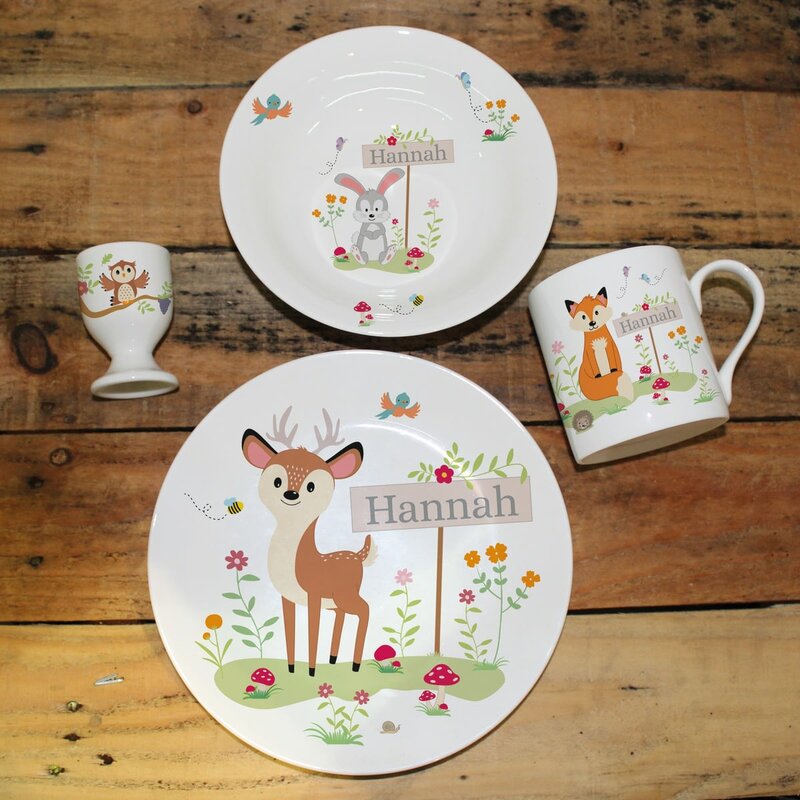 This cute woodland scene cushion cover & insert can be personalised with any name up to 15 characters. This white bone china trinket box makes the perfect keepsake for that special occasion. 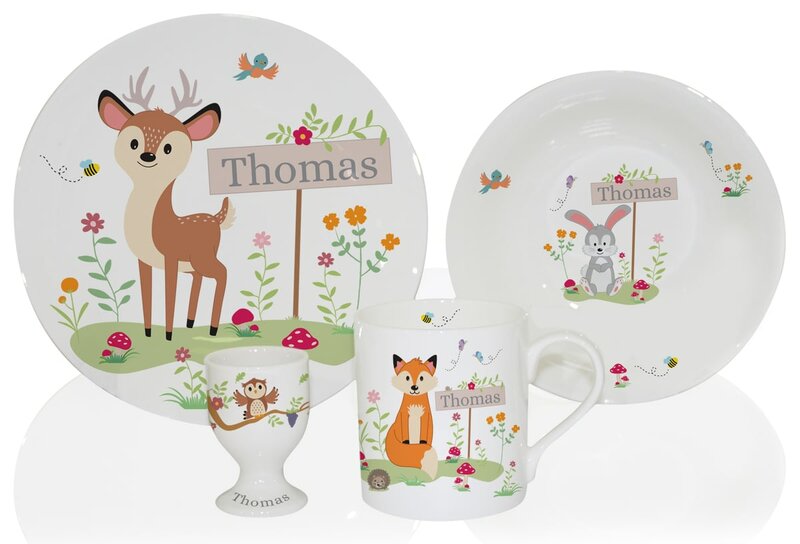 The lid features a cute woodland scene with the recipient's name of up to 15 characters.